Varadero is located on the northernmost part of the island of Cuba and is a wide strip of fine white sandy beach that runs along the narrow Hicacos Peninsula for 22 Km (over 13.5 miles). 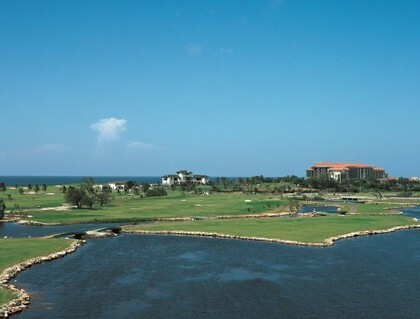 This world-famous resort is 130 kilometers east of Havana. Varadero began to be developed as a summer vacation resort in the 1940s, but it was not until the last ten years that hotels and facilities were added and upgraded. Varadero’s main attraction has always been its marvelous beach, but you can also explore its caves and virgin keys in the north-eastern end of the peninsula, there is a nature reserve with virgin forests and beaches called Varahicacos. The Natural Park is a 3.12 km2 ecological preserve established in 1974. It contains the 250 m (820 ft) long Cave of Ambrosio, Mangón Lake (home to 31 species of birds and 24 species of reptiles) and the ruins of the La Calavera (The Skull) Salt Works (one of the first salt works to be constructed by the Spanish in the New World). The cays developed off shore, such as Cayo Piedras and Cayo Cruz del Padre are the western most part of the Sabana-Camaguey Archipelago. Varadero also has good conditions for scuba diving, deep-sea fishing, yachting and other water sports, Varadero’s seabed is home to more than 40 kinds of corals, hundreds of species of fish, lobsters, shrimps, crabs and turtles, and more than 70 kinds of molluscs. The main diving site in Varadero is known as Hoyo Azul Ojo del Mégano, a huge 70-meter-wide cave that is famous for its underwater walls, coral reefs and schools of multicolored fish. 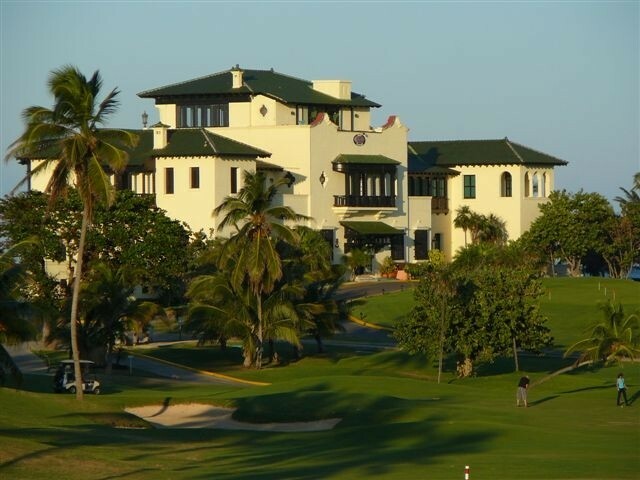 For Golfers, The Varadero Golf Club, designed by architect Les Furber, chairman of the Canadian company Golf Design Services is located in Peñas de San Bernardino. The golf course combines different styles, including classical, with broad streets limited by trees, and wide and unprotected greens. Next to the Varadero Golf Course is the Club House, where players meet after a golf session in The Xanadu Mansion, designed by architects Cavarrocas and Govantes in 1927. In addition to its most valued resource, the beach, Varadero has natural attractions such as caves and a chain of easily accessed virgin cays. 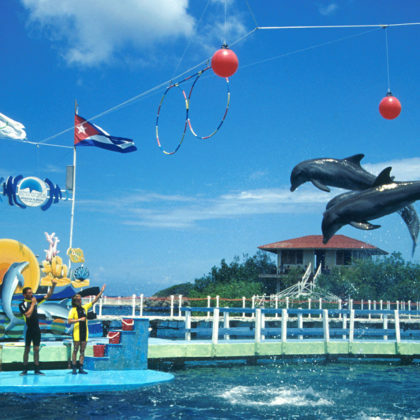 There are also cultural, historical and environmental attractions in the vicinity, such as the cities of Matanzas and Cárdenas, the Zapata Península and the resort of San Miguel de los Baños. Varadero is located in Matanzas, the second largest province in Cuba, located between Havana , Cienfuegos and Villa Clara provinces. Matanzas territory is largely flat, with its highest point (Pan de Matanzas) at only 380m above sea level. The north-western coast is largely rocky, with a few beaches, while the north-eastern coast has numerous small cays of its coast (part of Sabana-Camaguey Archipelago), and scrubland and mangroves near the shoreline. Cuba’s northern most point is located on the Hicacos Peninsula. The southern coast has one of Cuba’s most distinctive features: an enormous marsh, Ciénaga de Zapata that covers both the southern part of the province and the Zapata Peninsula. East of the peninsula lies the Bay of Pigs, the site of the failed US backed invasion. Matanzas City has been distinctly called the Athens of Cuba and the Cuban Venice, due to its numerous bridges the Yumurí and San Juan rivers that allow for the circulation of pedestrians and vehicles. The quiet city that stretches along the edge of a huge bay invites visitors to come and see its rich cultural wealth. To the south the Zapata Peninsula is a true paradise for those who love nature tourism, which can also be found in the Yumurí Valley and the Canímar riverbank. 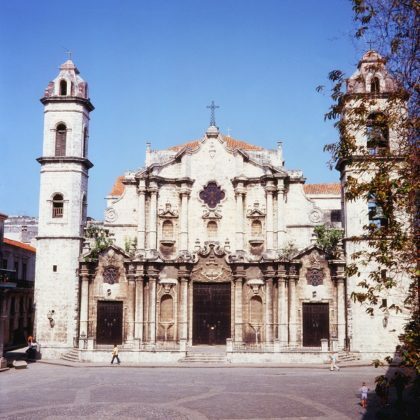 Located in Matanzas city, they were discovered in February 1861. Such caves are made of crystalline formations and great amount of stalagmites and stalactites. The interior passages descend looking for the aquifer, ending up in lakes with crystal waters. They are located in a region of loamy limestone marine terraces and are 3,1 kilometers long. Tours cover only 1500 meters and include some of the 17 galleries, 6 halls and a corridor. Located in Península de Zapata, this swamp covers an area of 70 277 hectares and is located to the south of the Province of Matanzas in the peninsula known under the same name. 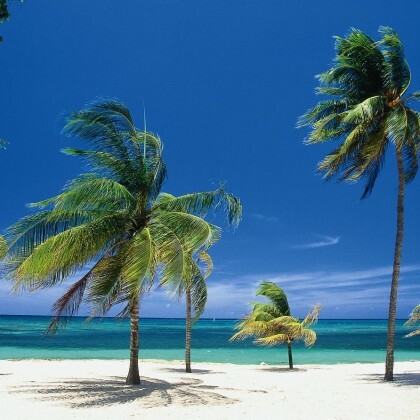 It is recognized as the largest and most important humid soil of Cuba and the Caribbean islands. Its vegetation is made up of forests, great extensions of mangroves, swamp weed and coastal bushes, which is why it is considered the most important ecosystem of the country; serving as the habitat of numerous species of sea birds, mammals, amphibious and invertebrates; among them, the Crocodilus Rhombifer, endemic crocodile of Cuba; the manatí, the mottled woodpecker, the fermina, the parrot and the cabrerito of the swamp. 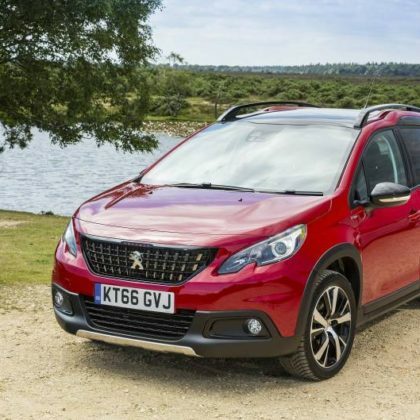 This is also a place for some migratory birds to rest during the winter and offers options of great interest, including eco pathways and the observation of birds. Located in Ciénaga de Zapata, represents the Tainos (group of Indians that lived in the area) and how they engaged in their routine activities: fishing, fixing their nets and playing. It was made by the sculptor Rita Longa. There is a crocodile farm, which is considered the largest of the Americas. It is a good spot for a quiet drink with a nice view on the world famous mansion. Located just a few steps from the ocean and Melia Las Americas Hotel, the Xanadú mansion has the charming gift of the buildings of the beginning of last century, just a few minutes from the center of Varadero. Glass barrels and carafes covered with woven palm leaves and wines matured by the time share this pleasant atmosphere where, along with a choice of delicacies from the French and international cuisine, you can enjoy a service in line with your exclusivity. Most hotels include water sports like windsurfing, snorkeling, kayaking and paddle boats as part of the all-inclusive package or for hire. If not, simply hit the beach and walk a bit until you find some for rent. There are three main marinas on Varadero: Marina Gaviota Varadero, at the far eastern end of the Autopista del Sur, Marina Dársena Varadero, at the western end of the Autopista del Sur and Cubanacán’s Marina Chapelín, Autopista del Sur Km 12.5. At any of these you can charter a sailboat, organize a fishing excursion, or arrange to go scuba diving. Moreover, the tour agencies and hotel activities desks can book any of these activities. The waters off of Varadero offer the opportunity to go deep-sea fishing for marlin, sailfish, tuna, snapper, dolphin, and more. Fishing trips can also be arranged to the Ciénaga de Zapata area in southern Matanzas province. There are many charter sailboat options available at each of the marinas mentioned above. A range of cruise options is available, from half-day and full-day cruises to simple sunset sails. Many of the sailing adventures make stops at the small, uninhabited cays off the eastern coast of the peninsula; these trips can include lunch on one of the cays, as well as snorkel adventures on close-in coral reefs. Most of the large hotels on Varadero either have their own dive operation or can arrange scuba and snorkel trips around the area. 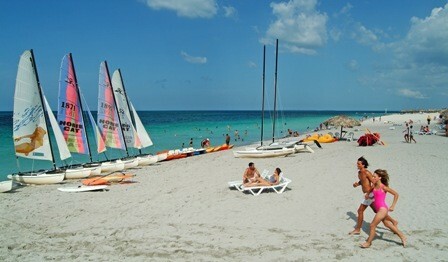 Scuba diving and snorkeling off of Varadero is generally pretty good, although rarely spectacular. There’s an assortment of sites, including a black coral bed, various coral reefs, and an old wreck. True aficionados prefer the diving found in southern Matanzas province off the coasts of Playa Larga and Playa Girón. It’s about a 90-minute drive from Varadero, and all of the dive operations here offer trips to these dive spots, an especially good choice if a northern wind is blowing and the waters are rough off of Varadero. 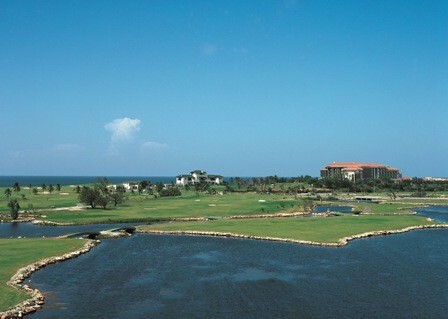 Located in a narrow strip from Sol Sirenas-Coral hotel to Sol Palmeras, this attractive 18-hole, par-72, 6896-yard golf course designed by Les Furber from Alberta has a unique design with four kilometres of cart path and surrounded by fourteen acres of natural salt water lakes. The highest bridge in Cuba (one hundred and twenty meters high), Bacunayagua is considered a true jewel of local engineering. From the bridge, one can enjoy the most wonderful view of the Yumurí Valley.